WINNER! Best Adventure Game of 2008! 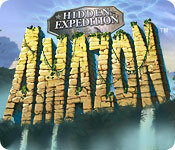 Big Fish Games Studios takes you on an Adventure into the stunning world of the Amazon with the Hidden Expedition team in search of a missing professor. A tattered map referencing the legendary Beetle Temple is your only clue as you begin your adventure deep into the Amazon Rainforest. Explore cities, temples, and ruins while unlocking the secrets of an ancient yet advanced civilization. This adventure is the largest yet for the Hidden Expedition team, and the discovery of the Beetle Temple is just the beginning. The FBI is baffled. Are you? Travel to the mysterious Nightmare Realm to save your daughter! Create a prosperous island paradise! Break free from a magical puzzle prison. Use the sequel`s official Strategy Guide. Learn the Amazon`s epic secret. Explore the mysterious Devil`s Island! Beware! Darkness approaches the tower! Meet famous icons in this magic sequel. Help Wanda and her friends graduate! Help Wanda restore order to the Academy! It's time for holiday fun! Paris holds something new for each of its visitors. An endlessly entertaining word puzzler. Explore Rome and solve a mystery. Help Daphne break the magical curse. Embark on an Atlantis adventure! Worldwide puzzling at its best! Lifeline is a playable, branching story of survival against all odds! Combine your energy with others to help a mischievous mouse deliver a shocking surprise! Put your mighty mind to the test.